As the caravan of Central American migrants enters Mexico, a senior Trump administration official praised the Mexican police for their handling of the "crisis on their southern border." 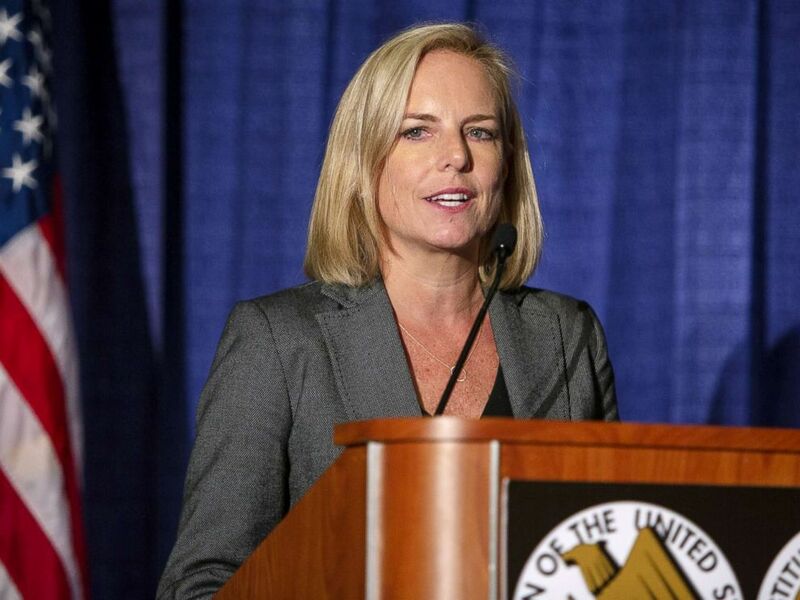 Department of Homeland Security Secretary Kristjen Nielsen tweeted that DHS would continue "to support our Mexican partners as they take steps to confront the crisis on their southern border. The Mexican federal police are handling this in a professional and humane manner." She added in a subsequent tweet that she has been in “constant contact” with her foreign counterparts in Mexico, Guatemala and Honduras, and that her department was monitoring the situation and ready to provide assistance if necessary. Homeland Security Secretary Kirstjen Nielsen speaks at The Association Of The U.S. Army Annual Meeting, Oct. 9, 2018, in Washington, D.C. I have been in constant contact with my foreign counterparts in Mexico, Guatemala and Honduras. Closely monitoring developments and providing any requested assistance. 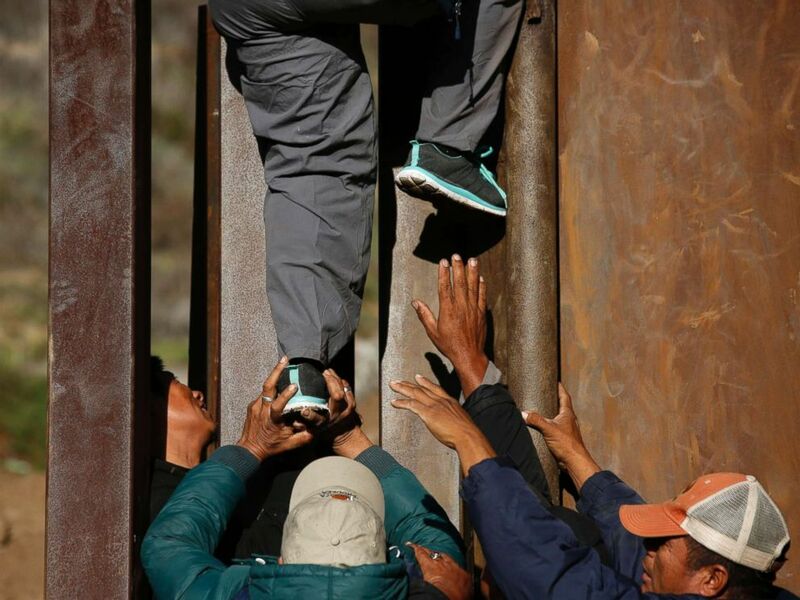 Thousands of migrants reached the Guatemala-Mexico border on Friday, breaking through a fence on the Guatemala side of a bridge separating the two countries. On the Mexican side of the bridge, they were met by Mexican police in riot gear. Others, meanwhile, waded into the Suchiate River or took rafts to get to Mexico. A Honduran migrant child, part of a caravan trying to reach the U.S., looks though the gate on the bridge that connects Mexico and Guatemala in Tecun Uman, Guatemala, Oct. 20, 2018. Many of the migrants are seeking refugee status in either Mexico or the United States. 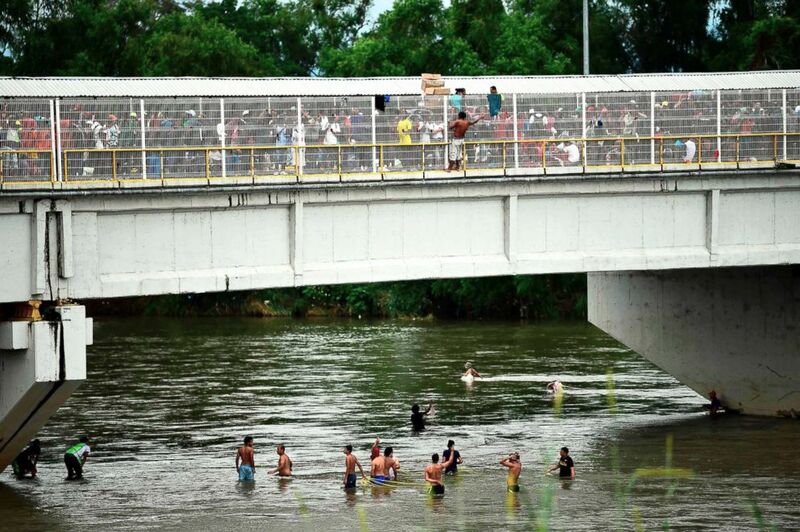 Honduran migrants heading in a caravan to the U.S., wait to help fellow men get down to the Suchiate River from the Guatemala-Mexico international border bridge, in Ciudad Hidalgo, Chiapas state, Mexico, Oct. 20, 2018. 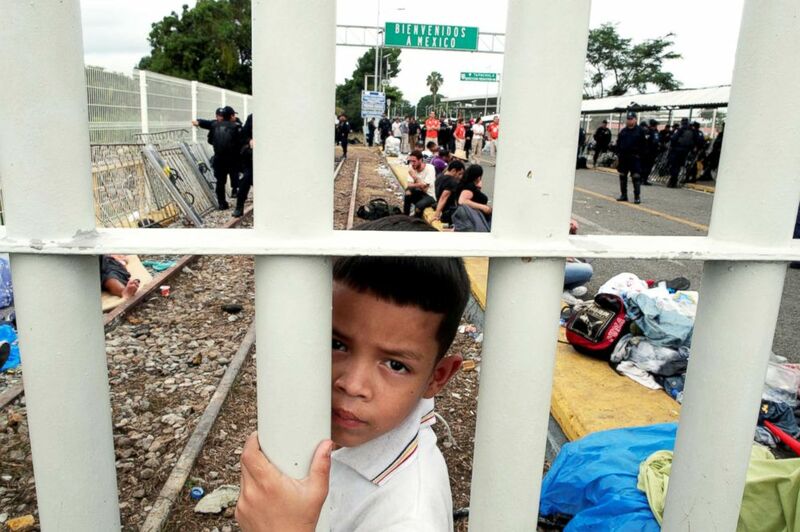 The Mexican Interior Ministry said on Saturday that 640 Honduran migrants have requested refuge in Mexico. It also said that priority attention would be given "164 women, some of them in advanced stage of pregnancy; 104 girls, boys and teenagers, who are from 3 months old to 17 years old; as well as older adults who have varying degrees of disability. This group includes a minor who traveled alone." President Trump threatened in a series of tweets on Thursday to “call up the U.S. military and close our SOUTHERN BORDER” if Mexico doesn’t do anything to stop the flow of migrants moving north. The president also blamed Democrats at a rally on Friday night in Arizona for the illegal border crossings. The Mexican government also released handout video of migrants on a bus being told by an official that they would be assisted in being processed for any asylum claims they may have. ABC News' Amanda Maile and Joshua Hoyos contributed to this report.